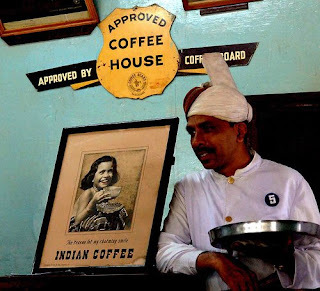 While the iconic coffee house, ICH (Indian Coffee House) on MG Road, Bangalore was downing its shutters, I was 'chillin' at another that was bursting at its seams with customers (read, college going-global warming concerned youth). I've never been the Cafe' going type. That's maybe because I lived through times where the closest you came to 'chillin' out' was when you had an ice pack on your head to get through an unbearable summer. Chatting with Namta I got to know how Cafes in Bangalore have become an integral part of youth lives. If that were so, why was ICH downing its shutters? The answer lies in the stark contrast that's ICH and Java City, where I was at. The former, run by a co-operative had a business model focused on products and pricing aimed at the mass consumer. The latter didn't give a whit to products, instead focused on selling a lifestyle. With the kind of costs that ICH ran up, it was impossible to sustain on budget product pricing that needs consumer numbers in more than plenty. Java City and similar such Cafes depend on selling coffee lifestyles at premium prices to a target consumer segment markedly different from the one ICH pursues. We were regulars at ICH. That's because we weren't looking to having conversations about how the planet could be saved while we sipped at our Frappes. Instead we sought a wholesome breakfast, wanting to mull over 'normal' stuff. Doing that cost us nothing more than a hundred bucks. Contrast that with sipping Frappes (I know its sounds grand, but its just blended iced coffee) that costs a hundred and fifty (for two). Food cost for the Frappes I bet wouldn't be anything over twenty bucks. Am I wistful seeing ICH go? No. 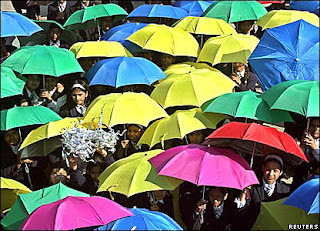 Some Business models fail, where others succeed. The ones that survive and thrive are the ones that adapt and center around their target consumer segments, constantly evolving with changing consumer needs. ICH went after a consumer segment for too long with a business model wasn't financially sustainable. Oh, by the way, I think I am gonna miss out on the ICH Masala Dosas and filter coffees served by dour looking service staff in their starched white attire and peacock plume headgears.